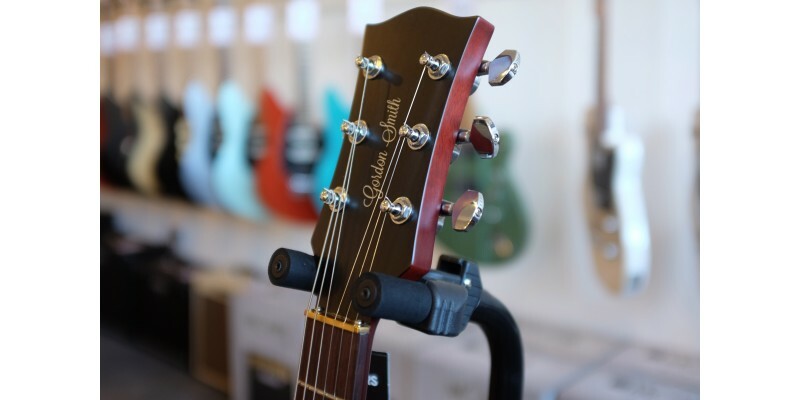 The new GS1 Heritage guitar range is a new series of guitars, designed to continue what makes Gordon Smith Guitars sound, feel, and play so great. 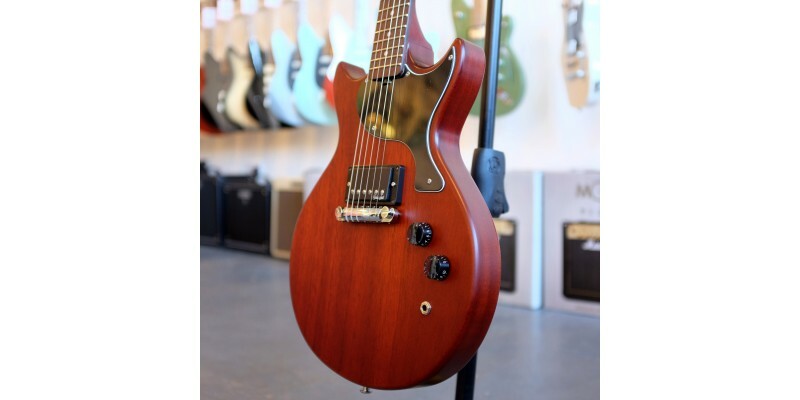 Made in England as they always have been, they also showcase new and improved wood and build quality, and feature practical modernisations to make these guitars a great choice for any guitarist. Just as capable of satisfying a Gordon Smith connoisseur as it is of making a lasting impression on a new generation of players. Now available from Merchant City Music, online and in our Glasgow store. We ship fast to the UK and Europe. Pop into the shop for a demo, and one of our friendly staff members will be happy to talk you through the features and specs. Alternatively, give us a call or drop us an email; we’re always happy to talk Gordon Smith! Gordon Smith GS1 Heritage in Natural - Handmade by traditional means in Higham Ferrers, Northamptonshire, UK. 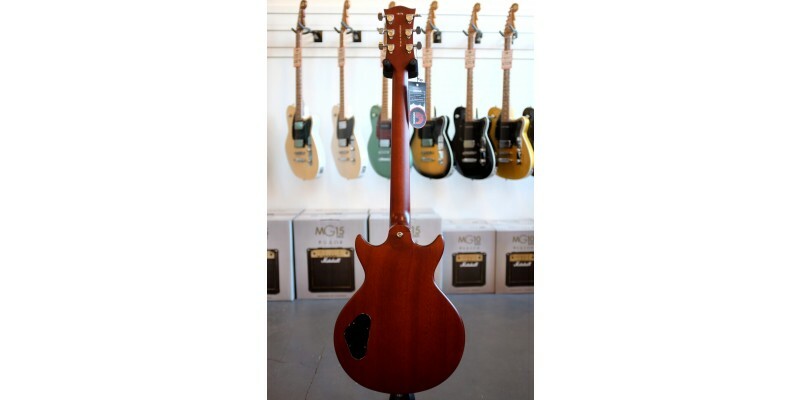 With a thick, double cutaway solid body, made of richly grained Mahogany, this guitar has a satisfying weight and balance, and great resonance. 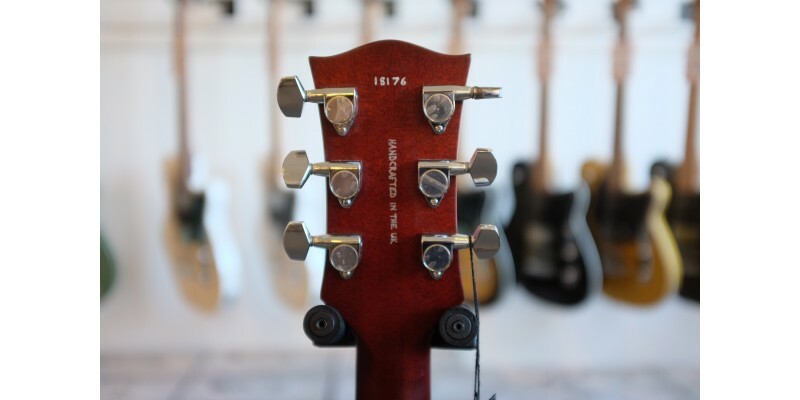 The neck, just as the body, is hand carved for immediate comfort, and features a Classic profile. This should feel great for those looking for a medium profile, not thick, but not too slim and flat either. The Rosewood fingerboard is inlaid with dot markers, and the fretwork is simply superb, with a smooth polished feel when performing bends. 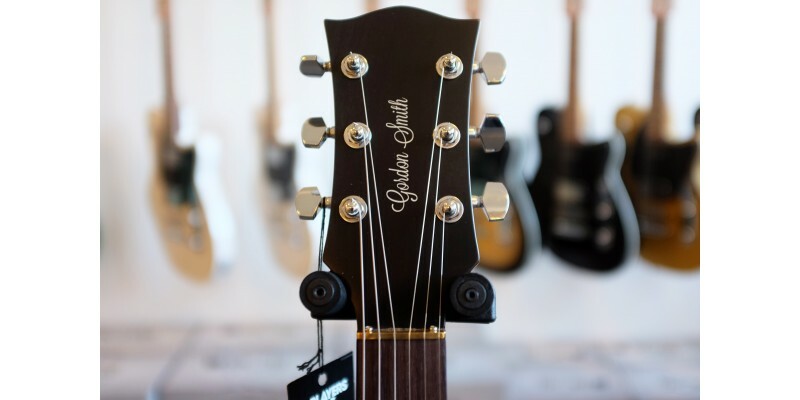 A unique feature for Gordon Smith Guitars is they feature Hand Cut Brass Nuts. The are not only tough, but offer great tonal benefits, increasing brightness and sustain. 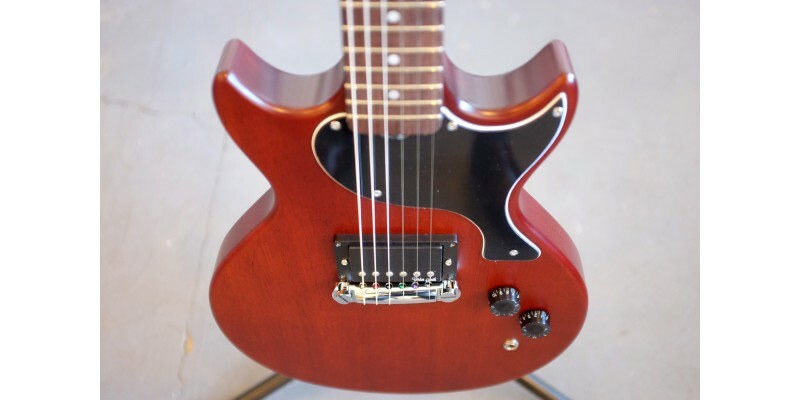 The Gordon Smith GS1 Heritage in Natural features a Homewound Humbucker Pickup. 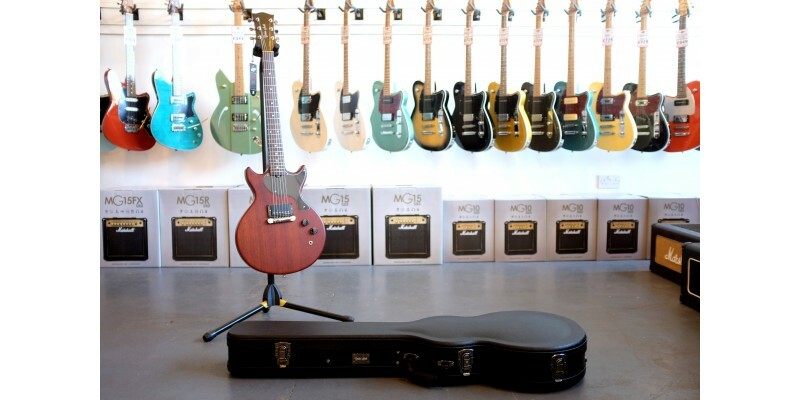 Wound in-house they have been a feature of Gordon Smith guitars for decades, offering rich crunch, chiming cleans to soaring lead sounds, and these have also been improved with even better quality components and magnet materials. 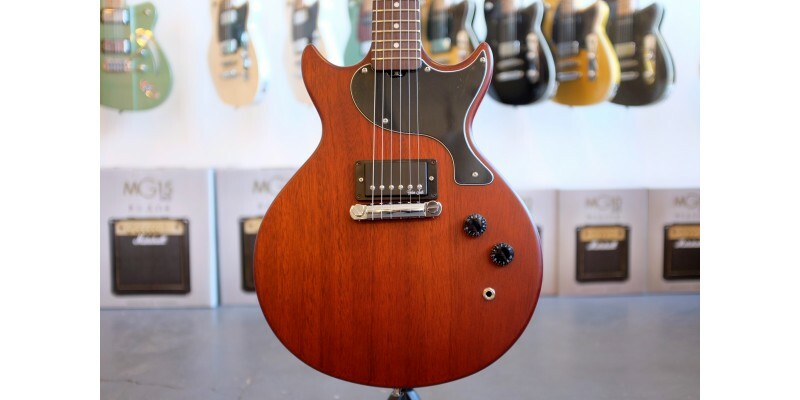 The GS1 Heritage features simple but effective electronics, with a single volume control which doubles as a Push Pull coil tap, and a tone control for taming the highs, and mellowing the tone. 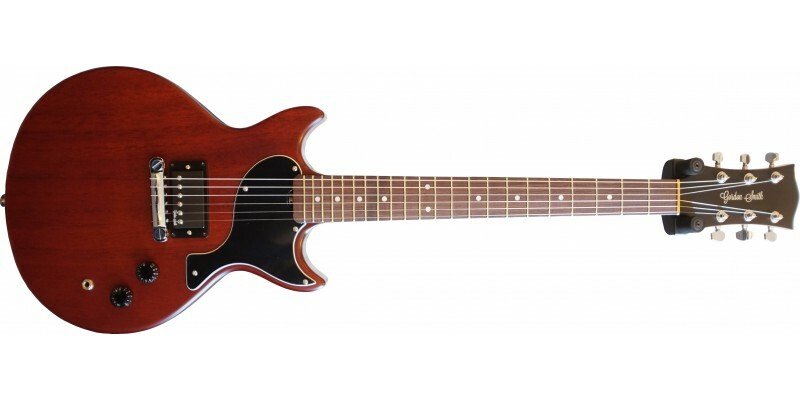 The GS1 Heritage is finished in satin natural stain with black headstock cap. 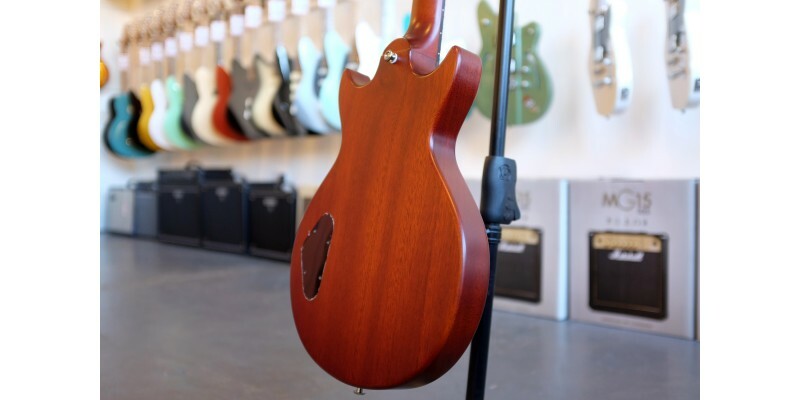 The neck is also finished in satin for a slick and silky smooth playing feel. The wraparound bridge bar features adjustable screws, which makes tweaking the intonation easy. 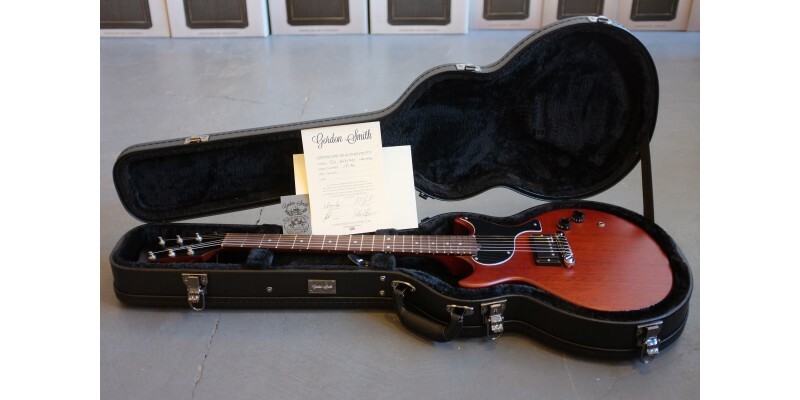 This guitar also comes complete in a Gordon Smith Hard Case, with full certification.